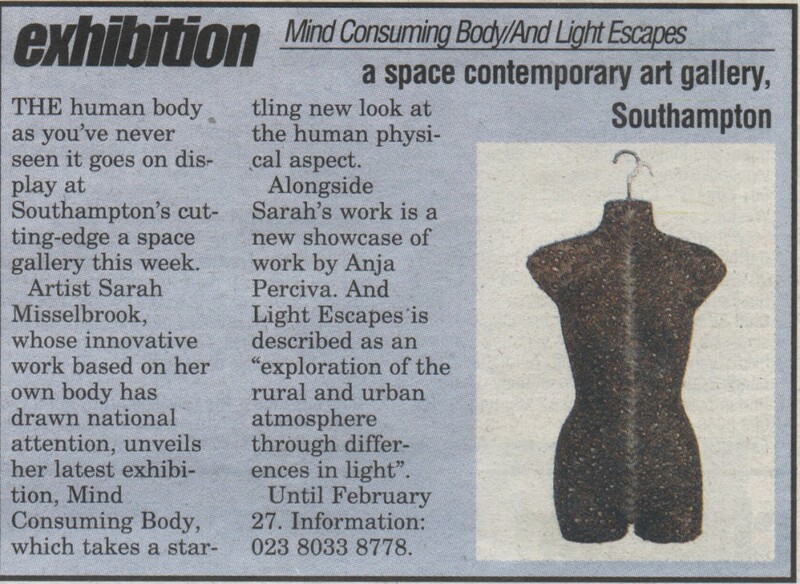 The human body as you’ve never seen it goes on display at Southampton’s cutting-edge a space gallery this week. Artist Sarah Misselbrook, whose innovative work based on her own body has drawn national attention, unveils her latest exhibition, Mind Consuming Body, which takes a startling new look at the human physical aspect. Alongside Sarah’s work is a new showcase of work by Anja Perciva. And Light Escapes is described as an ‘exploration of the rural and urban atmosphere through differences in light.’ Until February 27.